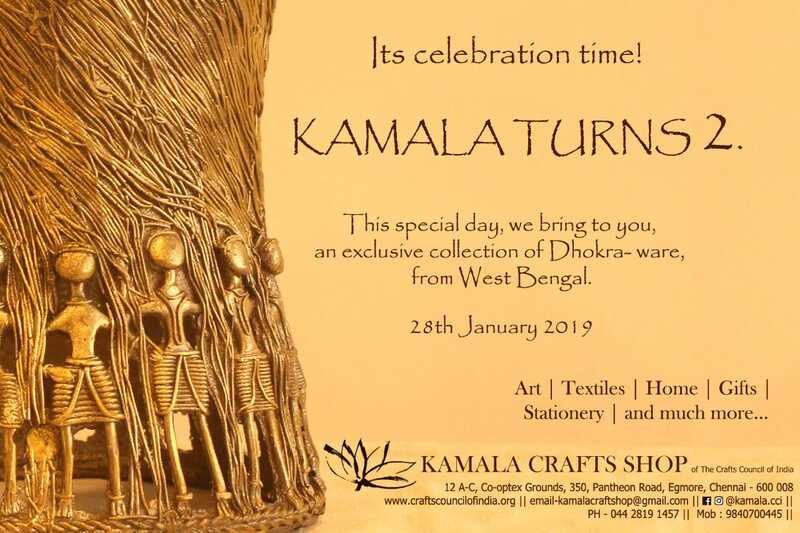 It is celebration time at The Crafts Council of India‘s craft shop ‘Kamala‘, which turns 2 on 28th January 2019. 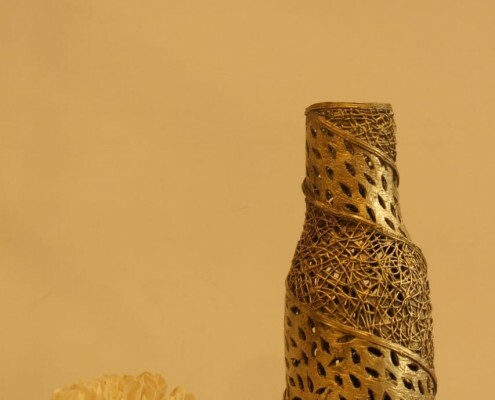 Two years of bringing to the Chennai craftscape decorative and utility craft products which fuse ancient, traditional craft skills with the contemporary context and lifestyle.Two years of showcasing the best and most subtly innovative of artisanal and designer craft creativity in products from across India, for growing sections of people to whom handicraft has intrinsic value which does not attack the bounties of nature. 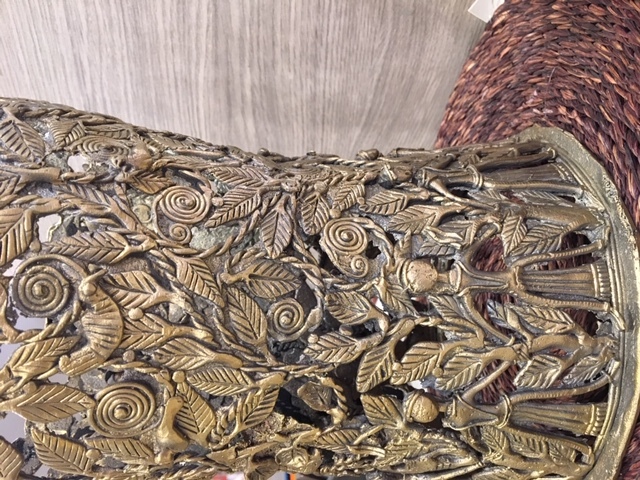 The Kamala product choice captivates. 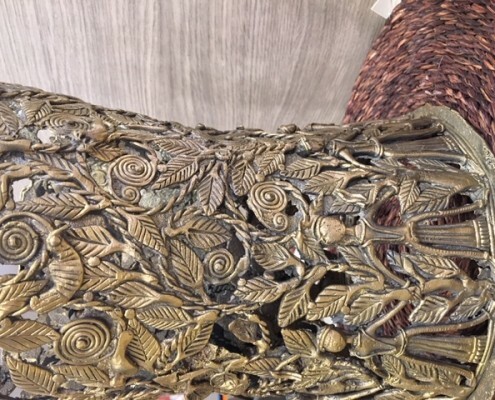 It could be a pretty shaded sholapith lotus, a delicately crafted mother of pearl jewellery box, contemporary trays with imprints of Madhubani, Kalamkari art, bell metal, sleek kansa or terracotta tableware, chintz and embroidered cushions, a serene Buddha sculpture in stone, a wealth of fabric and sarees in revival weaves, blocks and textile embellishments. 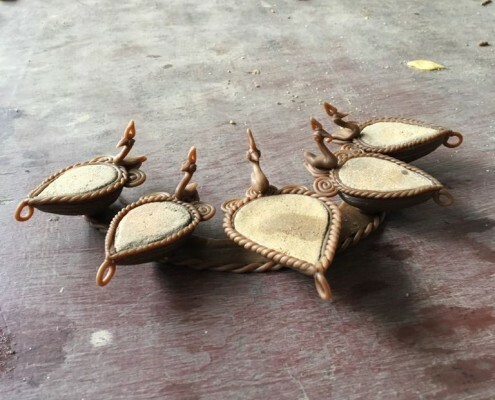 Or just a pair of mesmerizing birds from Odisha, making silent music. 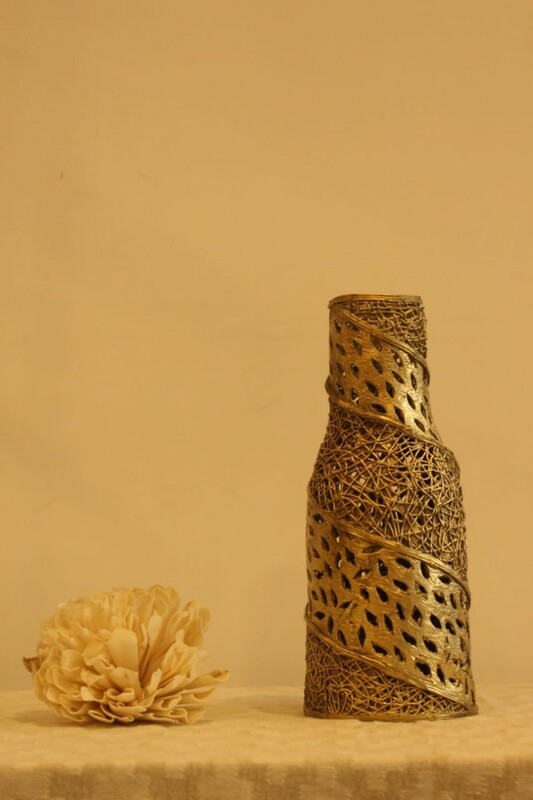 All this and much more at ‘Kamala’, Chennai, making it a prime destination of craft lovers. 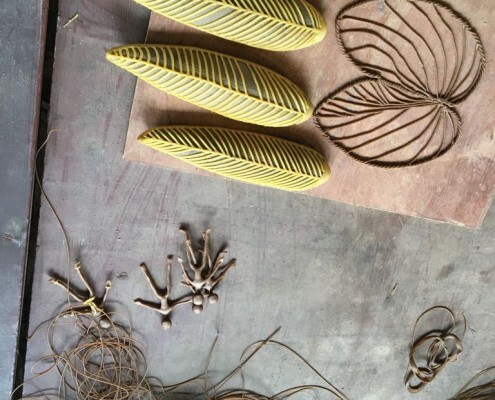 CCI strives to reach out to increasing numbers of artisans through its many initiatives and provides at Kamala, a wider platform for crafts and weaves across India. 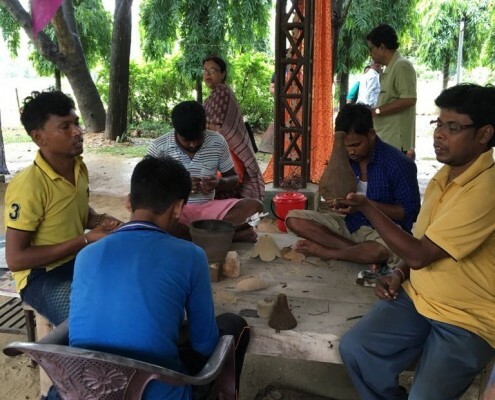 One such initiative is the ‘Educate to Sustain’ programme which has been running since 2007. 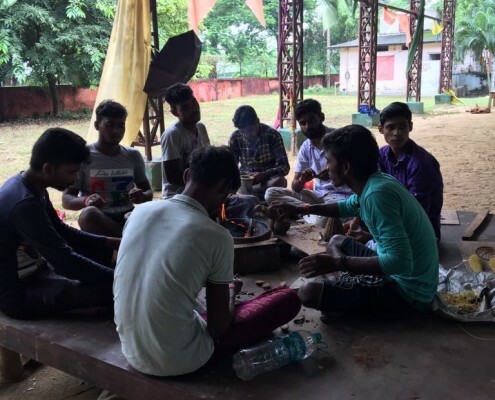 In its tenth year now from the inception of this program, CCI decided that rather than continuously increasing the number of children in the program, it would step up the quality of our inputs. 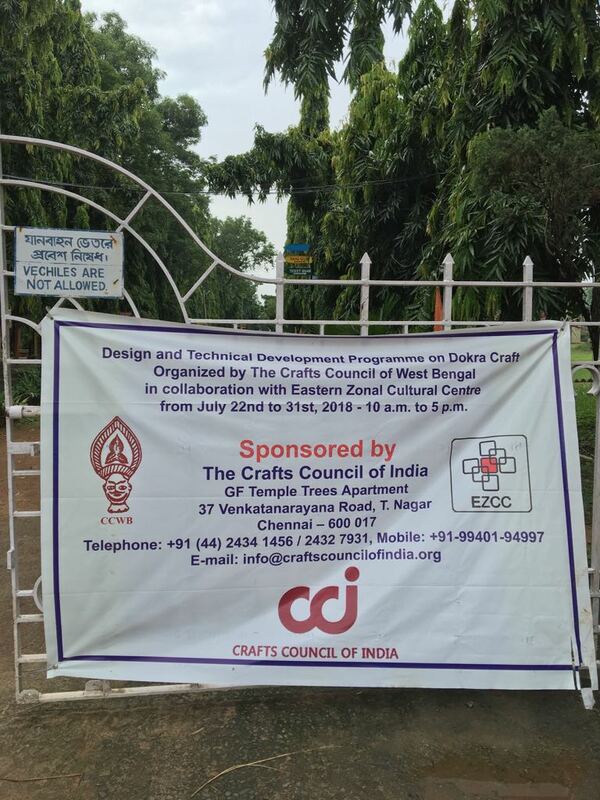 In July 2018 CCI organised a workshop for young adult Artisans under 25 years (all school drop outs) with inputs of more creative design and form to enable them to create products for home decor and to expand their market. 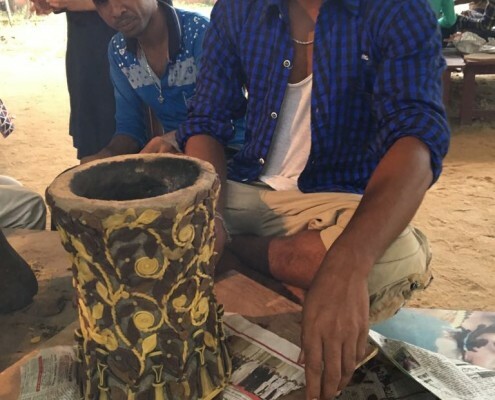 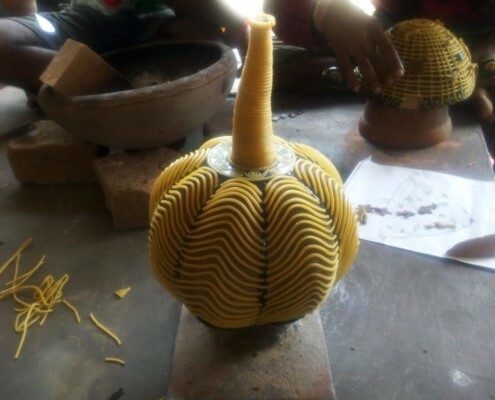 The main objective was to make them into individual craft entrepreneurs who can sell their craft anywhere in India. 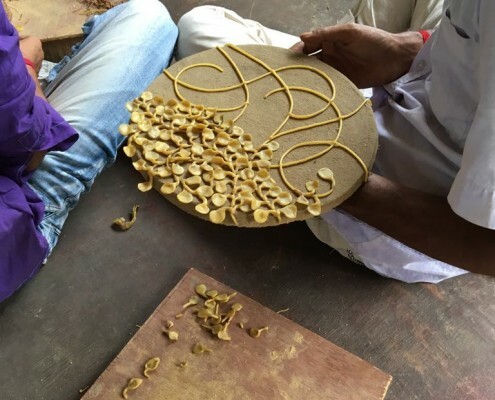 In the process of widening their market, they learn the essentials of business practices – costing, accessing working capital, on – time delivery, packing forwarding, and finally keeping accounts. 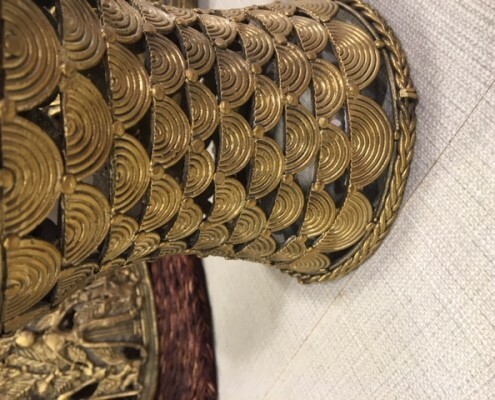 The brief given to the designer coordinating the workshop was to make large items that have utility. 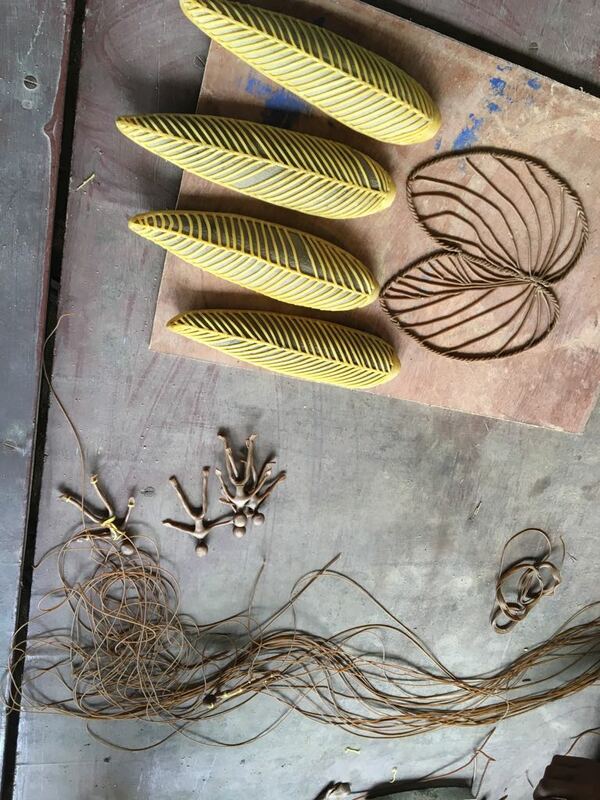 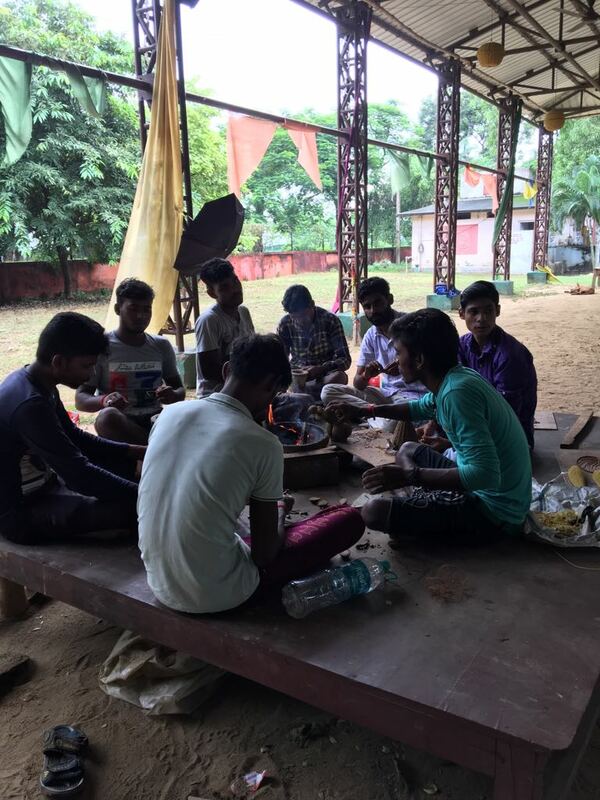 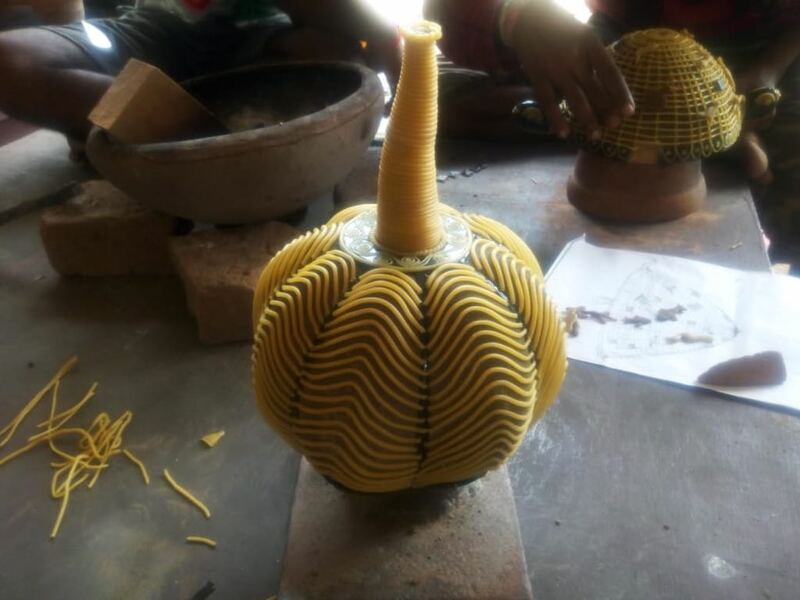 The workshop was conducted under the guidance of designer and sculptor, Anita Bhattacharya. 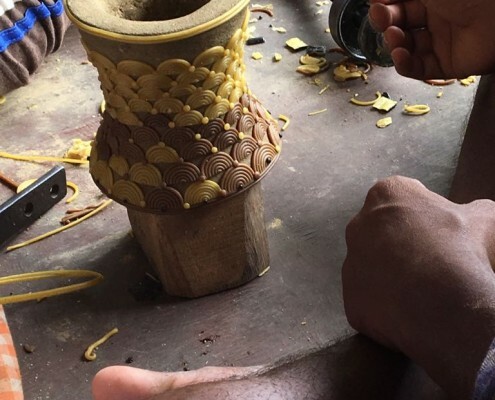 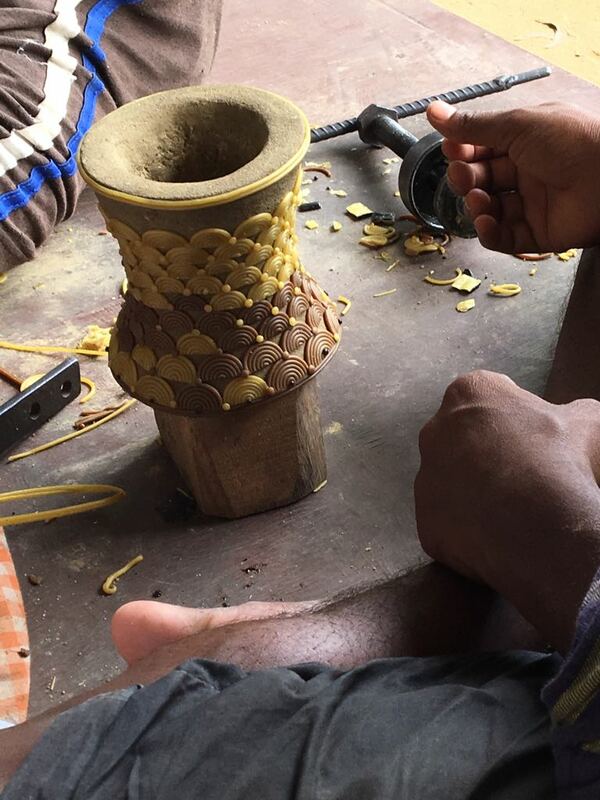 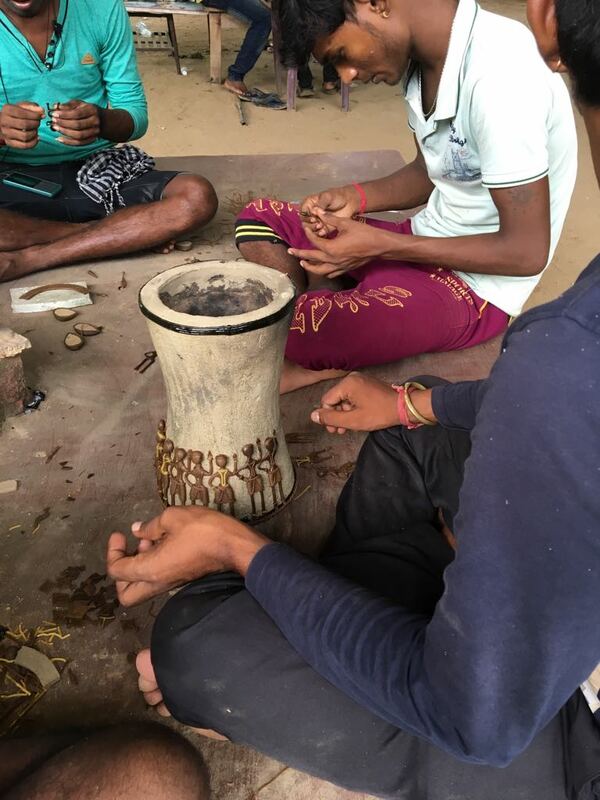 The workshop was a challenge for the artisans as there was scope for intricate work. 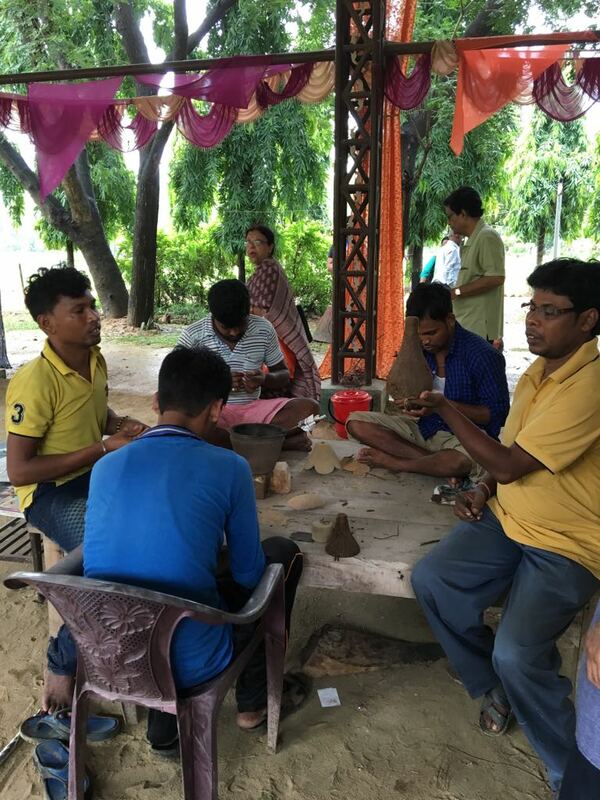 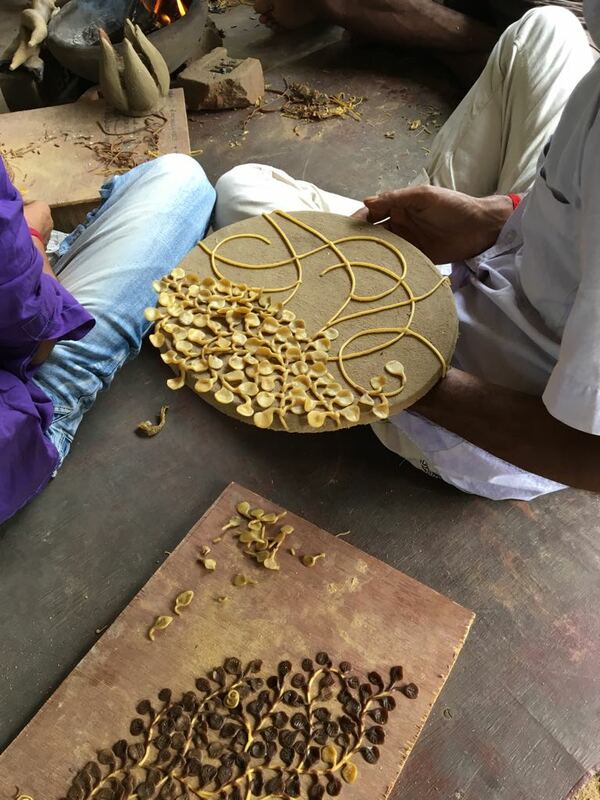 Each artisan was completely engrossed and focussed. 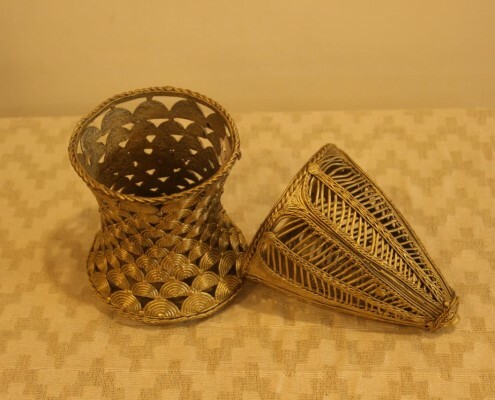 ‘Kamala’ Chennai, is proud to present the unique items created at the workshop at its second anniversary celebration – with an exhibition of 44 unique dhokra products, crafted by the 14 young adult artisans from Dariapur and Bikna villages of West Bengal – who have had not any exposure to other than local markets. 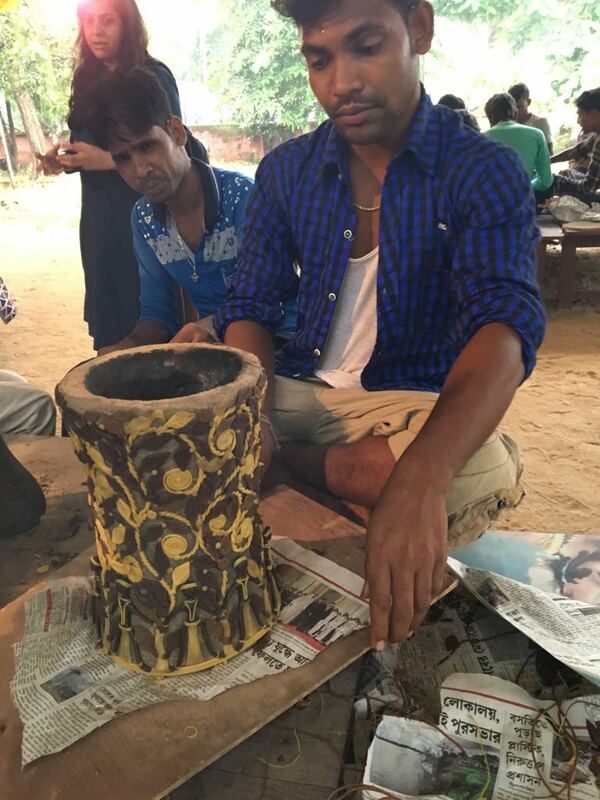 Their repertoire is confined to making durga and related images which cannot find takers outside Bengal. 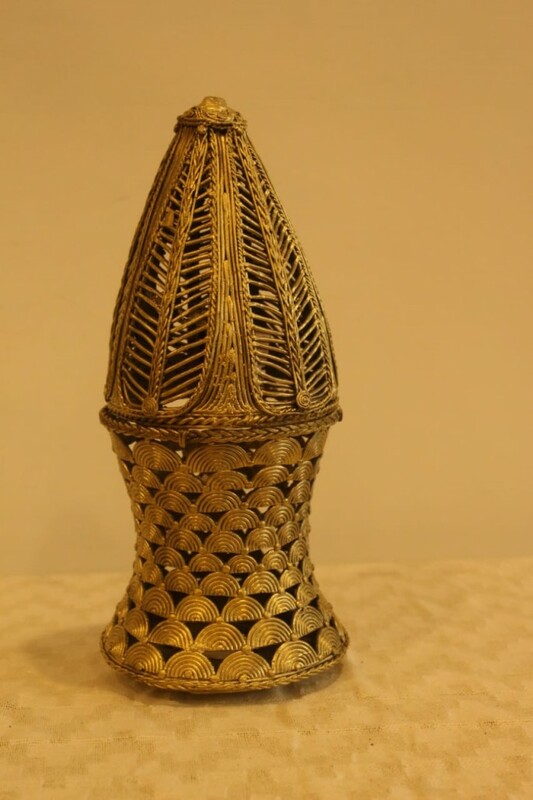 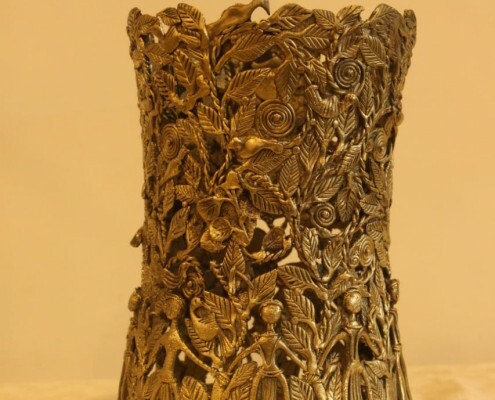 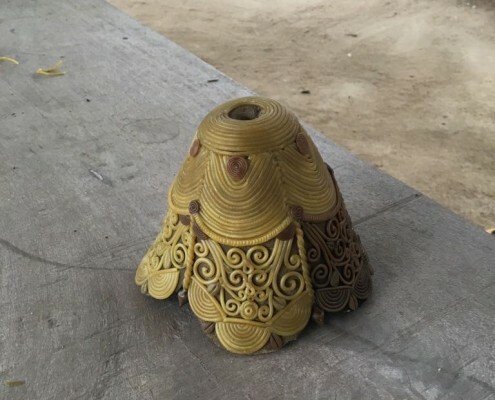 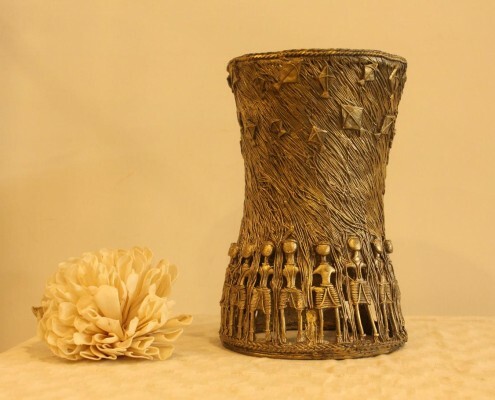 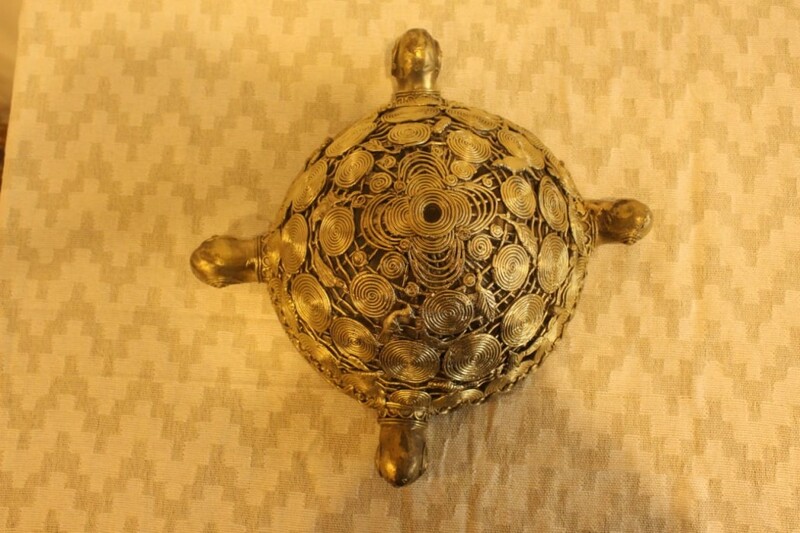 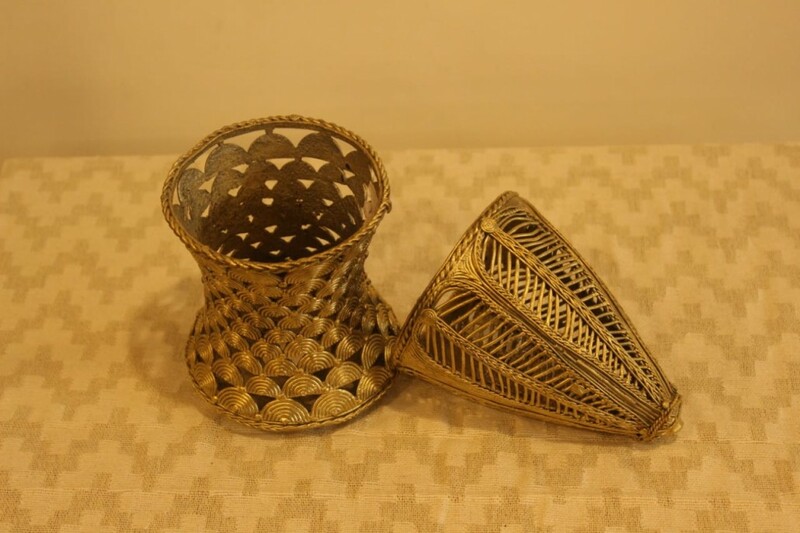 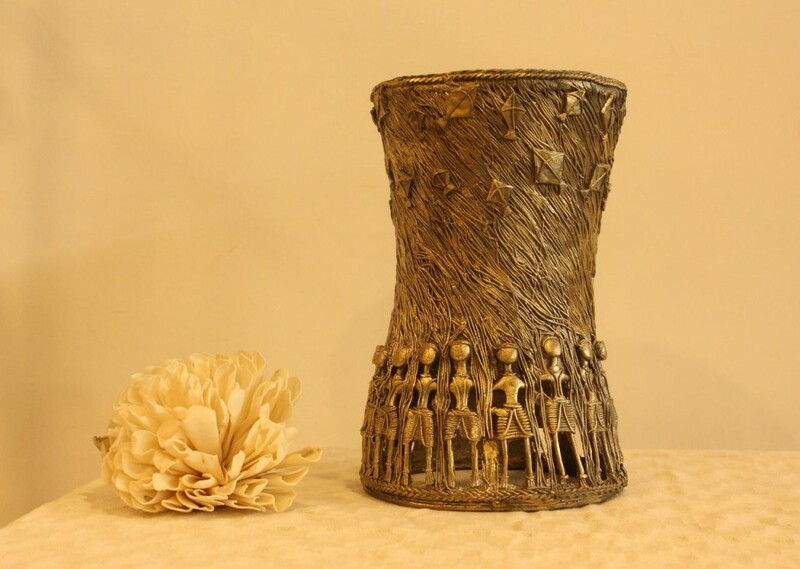 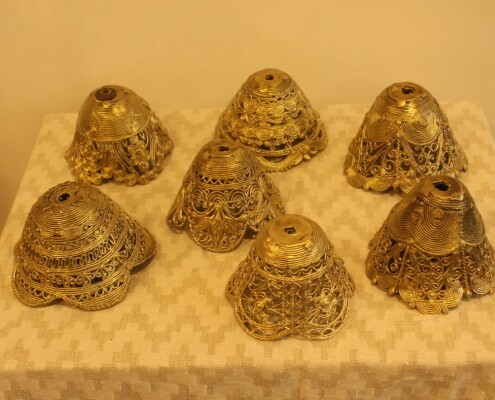 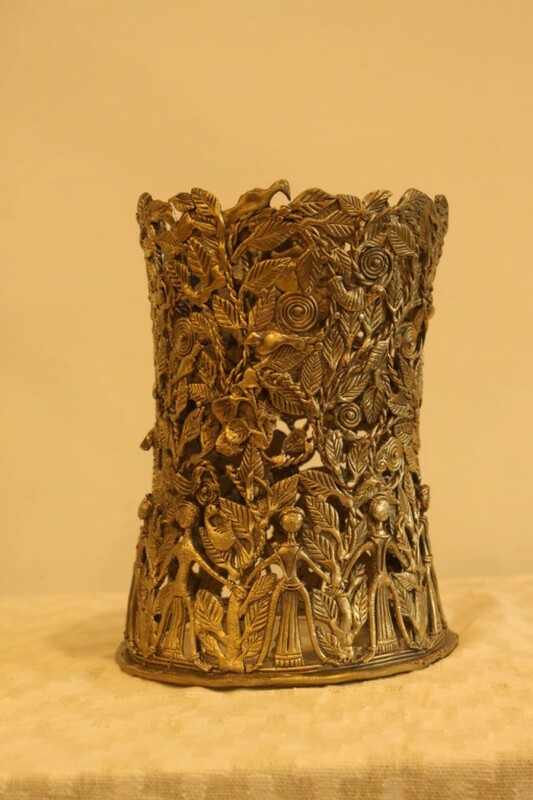 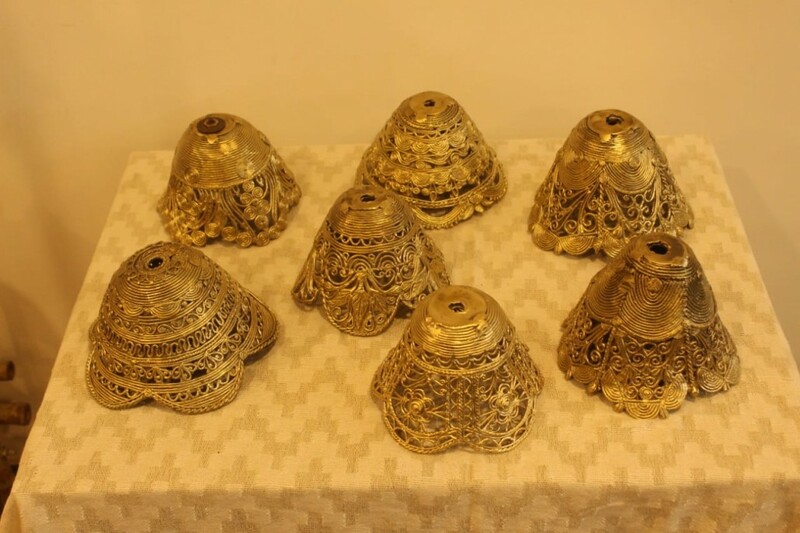 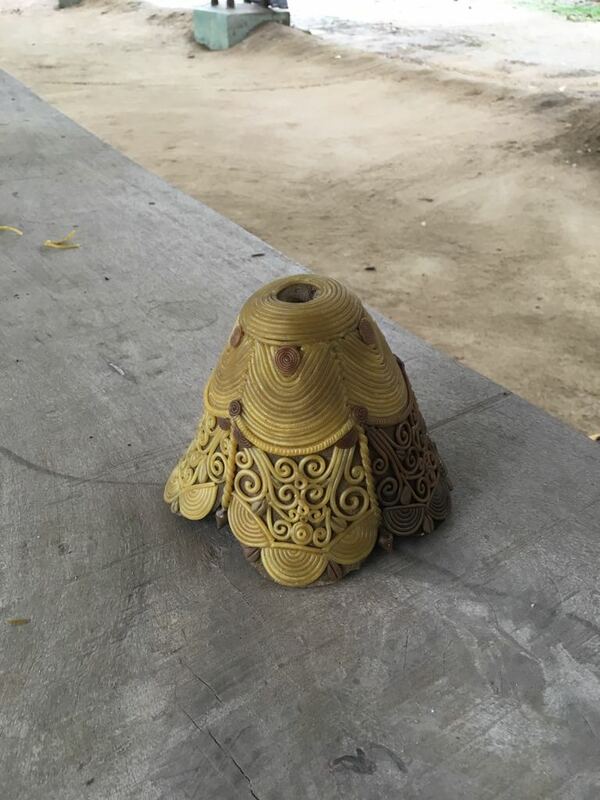 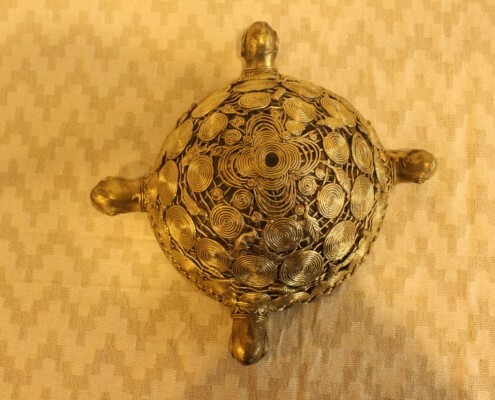 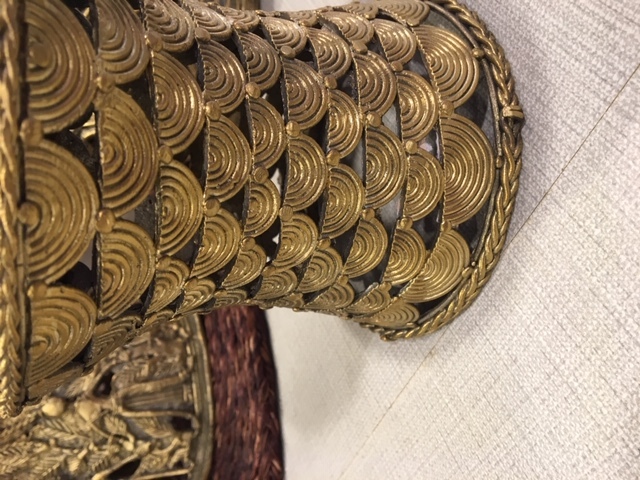 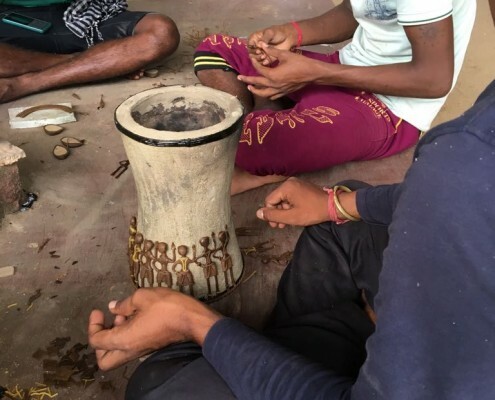 Dhokra is a 4,000 year old bell metal casting method using the cere per due or lost wax technique which continues to be a living tradition in West Bengal, Odisha and Chattisgarh. 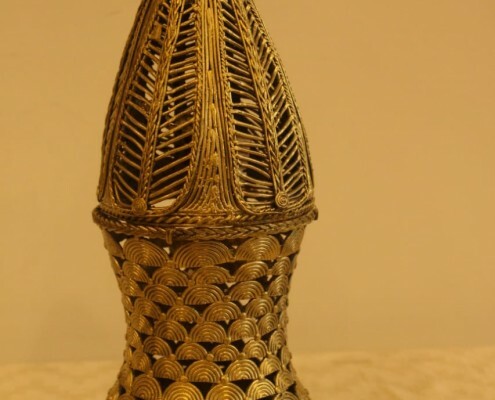 The mastercraftsmen of dhokra craft make religious deities, human and animal figures, utensils etc. 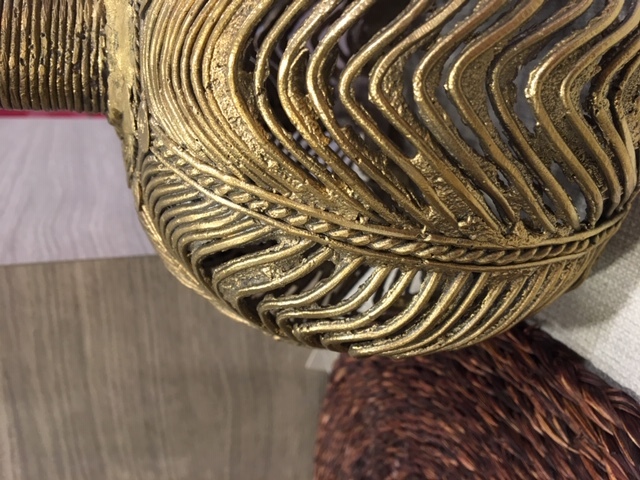 Every dhokra product on display at ‘Kamala’ has the exquisite aesthetic quality, surface textures and the magic of West Bengal’s ancient craft. 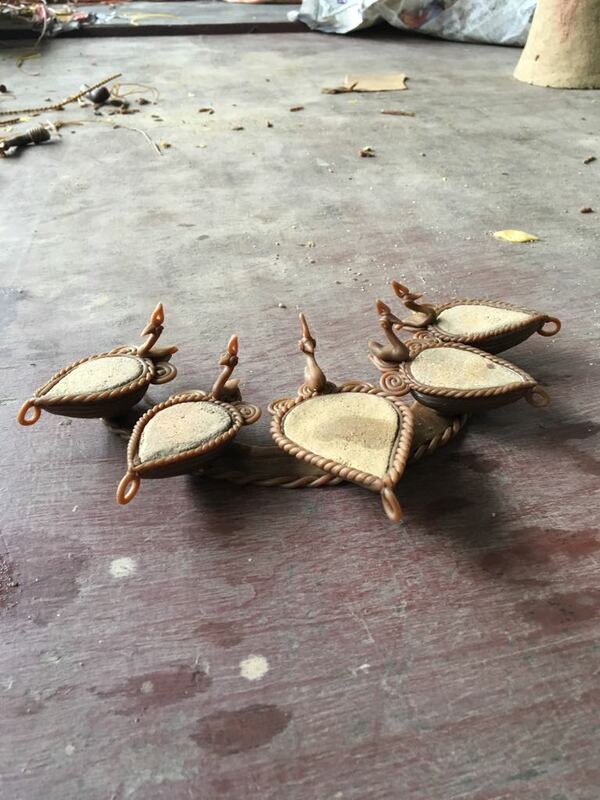 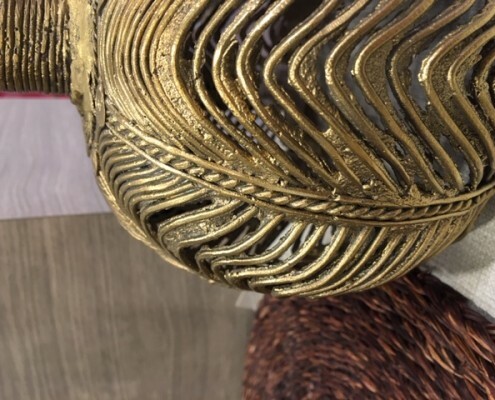 The beautifully finished products include a range of delicately crafted lamp shades, exquisite table stands, vases and coasters which are a work of art and pretty jewelry pieces.